Robert D. Bohm is not only interested in protecting the rights and well-being of his clients in personal injury and premises injury cases, but he is involved with community programs to enhance the lives of all. 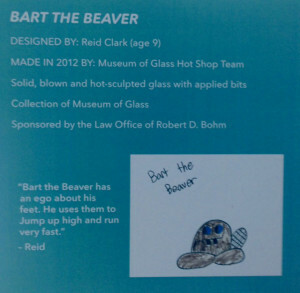 One of his latest projects was sponsoring a piece of art from Tacoma’s Museum of Glass (MOG) for a touring exhibit of Kids Design Glass Program. As described on the MOG Web site A child draws a design—generally a fantastical creature—names it, and writes a brief explanation or story about his or her creation. The Museum’s Hot Shop Team selects one design every month based on its aesthetic merits and transforms the two-dimensional drawing into a three-dimensional sculpture. 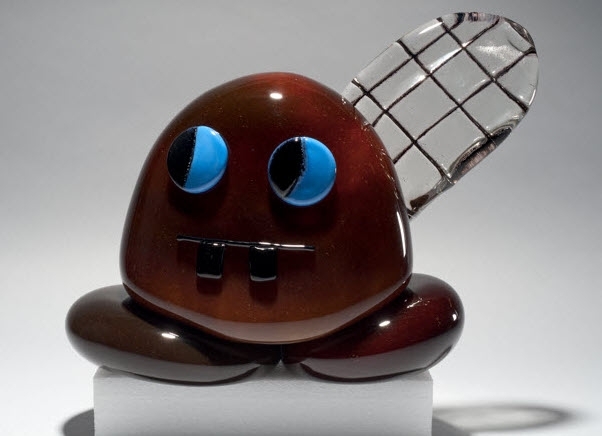 As the designer, the child directs the artists as they make two sculptures—one for the child to take home and the other for MOG’s Kids Design Glass™ Collection. As part of giving back to the community, Robert Bohm not only supports the local arts community, but takes an active interest in the wildlife in the area. He donates to Washington parks and wildlife, the Point Defiance Zoo & Aquarium, and recently became a supporter of the baby otter found abandoned on an Olympic National Park beach. 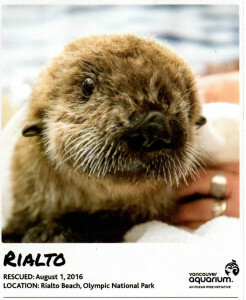 The tiny pup, later named Rialto for the area in which he was found, was taken to the Seattle Aquarium where he received treatment for pneumonia, was carefully nursed to health, and then taught otter behaviors that would have been performed by his otter mother. The Seattle Aquarium was joined in these efforts by staff from the Vancouver Aquarium. When Rialto was healthy and prepared for “otter life,” he moved to the Vancouver Aquarium where room with other rescued otters was available for him. Robert and his wife regularly followed Rialto’s progress through local newspaper reports, and now keep updated through Internet notices and videos from the Vancouver Aquarium – they happily, routinely contribute to his “lunch money” fund. During the recent Washington State Association for Justice Annual Convention in Vancouver, the Bohms were privileged to have a behind-the-scenes visit with Rialto and his new otter family. WATCH THE SEA OTTERS on the sea otter cam. CLICK TO DONATE to the sea otters’ care.